Colorful, fragrant flowers entice pollinators with sweet nectar. Learn how pollinators and flowers help each other survive and why they are important to humans. Program for adults. $6 for members; $9 for public. 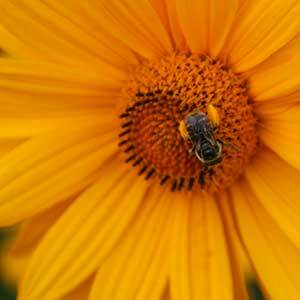 Register for A Flower’s Guide to Attracting Pollinators! 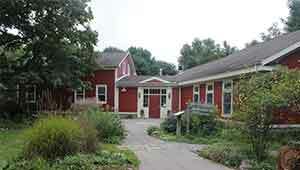 Hours: The Interpretive Center is open M-F, 9-4 and Sat, 10-4. Closed Sundays and major holidays. Trails are open dawn to dusk every day with parking in upper or lower lots. No dogs please. Why are there age recommendations? Age recommendations and restrictions are made for each individual program based on terrain and hiking distance, time of day, and content of the program. In an effort to offer a high quality experience, we ask that you consider these recommendations when registering. Children under 3 are free at our public programs when the event is recommended for young children. Do I have to buy a ticket for my infant or toddler to participate in public programs? Children under 3 are free at our public programs when the event is recommended for young children. You can join Baltimore Woods and enjoy reduced pricing on public programs, free use of snowshoes on our trails in winter, nature day camps for kids, and many other great benefits. Visit our Membership page to learn more. What if the program cancels? Programs may be cancelled due to weather or low enrollment. Pre-registrants will be notified by email or phone in the event of a cancellation and any pre-payments will be refunded. Want to pay by check? Call Baltimore Woods to make arrangements. Your spot in the program will be reserved once your check is processed. Checks must be received at least 48 hours ahead of the event date. Want to pay with cash? Stop into the office and we will register you for the program! Do I have to register ahead of time? Pre-registration is highly recommended. Walk-ins are accepted if there is space available. Program registration fees are non-refundable except in cases of family/medical emergencies. Baltimore Woods may cancel a program due to weather or low enrollment. Pre-registrants will be notified by email or phone in the event of a cancellation and any pre-payments will be refunded in that case.